Senior Samantha Baron secures a catch in the game against Northeast on April 3. The flag football team won 20-0, improving its record to 4-5. 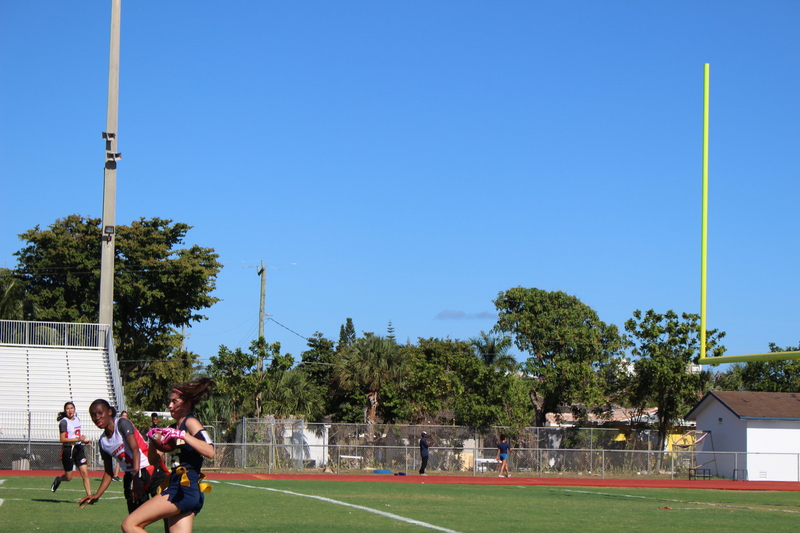 The flag football team beat Northeast High School 20-0 on April 3, its fourth win of the season. “It feels pretty good because this year we did better than other years,” said senior Taylor Curry. The team’s record of 4-5 at press time is an improvement from last season’s 3-8. “There are a lot of sophomores on the team this year,” Curry said.